Last week’s International Women’s Day blog discussed why it’s so important to #pressforprogress and encourage more women into technology-related careers. 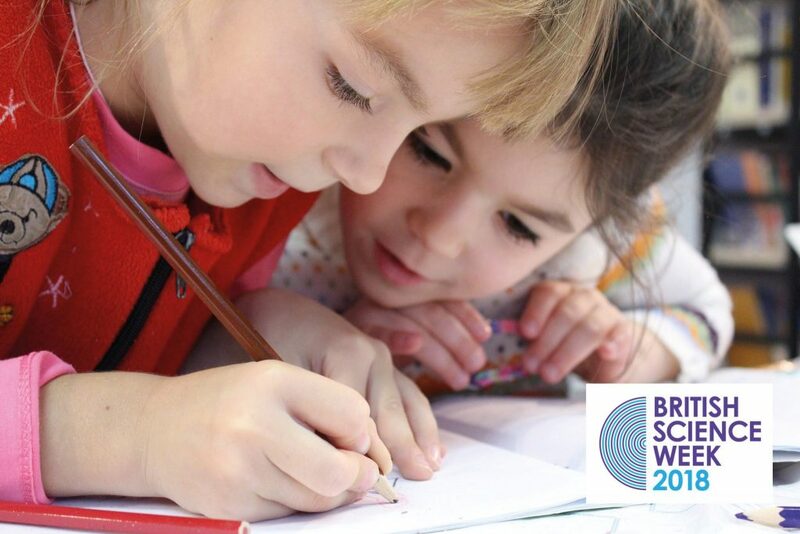 This week, we continue this theme in recognition of British Science Week; a ten-day celebration of all things related to Science, Technology, Engineering and Maths (STEM). In the UK, there is a huge shortage of women working in STEM roles – just 15% are women! (source: PWC). This lack of gender equality doesn’t simply impact upon STEM sectors themselves, but has a negative, lasting effect on the way in which we live our everyday lives. We rely on technology across all aspects of our day, from the apps on our phones and in our homes, to the software we use in the workplace. Without female input into the design and development of this technology, the majority of it will continue to be built with only 50% of the population in mind. That can’t make sense to anyone. When did this gender disparity start? PWC also report that the gender gap begins in school where just 64% of females study STEM subjects compared to 84% of males. This gender split increases during Higher Education with 52% of males studying a STEM subject to degree level compared to just 30% of women. Particularly when you look at last year’s GCSE results which showed that females were consistently outperforming boys across all STEM subjects. Clearly, the issue is not ability, but perhaps one of confidence, understanding, and a need for strong female role models working in the tech-arena. It is clear to us that in order to nip gender inequality in the bud as earlier as possible, parents and teachers need to work closer with those working in tech-related fields, including organisations like ours, to encourage girls to take an active interest in STEM subjects. A quick look around any toy shop will demonstrate how an extraordinary number of STEM-related toys are primarily marketed towards boys, from ‘chemistry kits’ to robots, sci-fi figures and LEGO. You’ll be hard pushed to find many of these in the ‘girls’ section. We applaud organisations such as Let Toys Be Toys.org.uk who recommend retailers think carefully before designing their stores and signage – suggesting that toys be organised into ‘themes’ rather than split by gender. The Little Men and Little Miss franchise also announced last week that they are introducing a new female character – ‘Little Miss Inventor’. They recognise the way in which their characters can be used to influence society in a positive way, in this case by encouraging girls to consider a career in STEM. We absolutely love this. Encouraging the principle of STEM through imaginative play such an easy way to encourage interest in STEM in pre-school age children, regardless of gender, but it’s up to wider society to act as role models. For older children looking at their GSCE and A-Level options, more work needs to be done to raise awareness of how STEM related subjects can lead to a wide variety of career paths. In their ‘tough lives’ report, AT Kearny highlighted that STEM skills are incredibly transferrable. This is in direct contrast to many secondary school pupils who indicated that they felt STEM was a niche area with limited career potential. “It is noticeable even from primary school that there is a shift in the mindset of our girls when it comes to STEM subjects. This is certainly not related to capability so it’s important that we all work together to help girls understand that STEM isn’t just for boys. Our school is working hard to plan and monitor our progress in this area every term, but we need to look beyond the school environment to see how we can encourage girls to enjoy STEM”. At Silver Cloud HR, we are working hard to demonstrate that a career in a technology-related field is open and accessible to all. Unlike many technology companies, 75% of our employees are female and we are consistently raising awareness of the wide range of career opportunities available within our sector. Working in technology is an incredibly satisfying career choice and we are proud to be role models to our children, demonstrating that it is possible to combine a successful career with a positive work-life balance. As such, we are always happy to speak to anyone who is interested in learning more about a career within the HR technology sector, so whether you are an individual looking for some career advice, or you work in a school or college as a careers adviser and would like us to come and speak to your students, then please get in touch, we’re more than happy to help.